TOPICAL FINASTERIDE - TOP 3 MYTHS BUSTED WITH THE TRUTH! Topical finasteride is one of the more popular topics that I'm asked about every day. It all started a few years ago when a few clinics started talking about how topical finasteride has no side effects and should have some efficacy that resembles regular oral finasteride. I remember the discussions before any products were announced. People online would talk about how they believed that by crushing up finasteride tablets they could add it to their minoxidil liquid and it would work better. The problem is that there was zero evidence such a simplistic approach would work, such is the case usually with home made hair loss remedies. Topical finasteride officially became available at least six years ago in 2012, possibly earlier, but a few forward thinking clinics that teamed up with some compounding pharmacies may have had it available earlier. But since it was introduced, all sorts of claims have been bounced around. Oddly, it has taken these several years for topical finasteride to gain any popularity but it has indeed finally happened. I get asked about it all the time. You can read about it in every forum, and on multiple websites like RealSelf, WebMD, and even Reddit. The problem with topical finasteride is that there is no single baseline formulation and it is sliding into the territory of "snake oil". 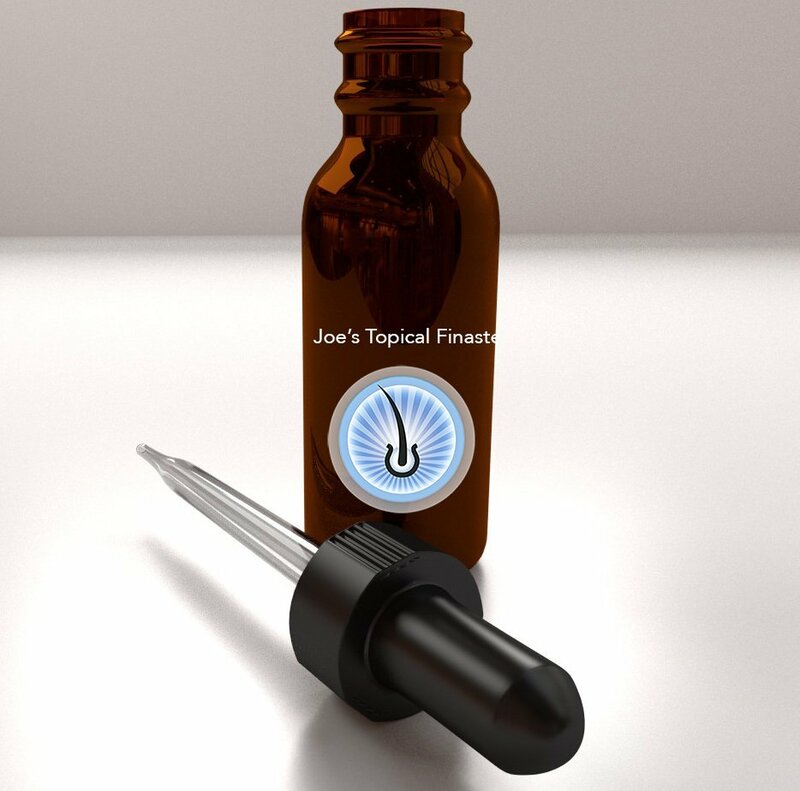 The video below goes into the top three myths that I've read about online regarding topical finasteride and what the truth really is. If you're considering using this medication you should really consider the realities of what it can offer versus what it doesn't offer. Myth #1 - It is stated by many websites, clinics and doctors, that there are no side effects with topical finasteride. This is absolutely untrue and I've been hearing from multiple people that they've been having side effects with varying degrees of severity. The reality is that once the medication absorbs into the skin, it can and does "go systemic" meaning that it gets into your bloodstream and eventually can produce side effects. The good news is that the side effects are usually going to be lower than what would normally be seen with oral finasteride. Myth #2 - I've had a lot of people ask me about standards, if all formulations are the same and I can confirm that no two formulations, or sources, will have the exact same combination of ingredients. Most will use minoxidil in various concentrations, usually in 2.5%, 5%, 10% or even 15% concentrations. Some will have latanoprost which is the active ingredient in "Latisse" which is designed for helping eyelashes grow longer and fuller. Some will have caffeine, retinol A, and/or Azaleic Acid. the combinations are vast, as are the costs. Myth #3 - This one is quite disturbing. The myth is that only a few doctors, clinics or pharmacies offer topical finasteride. The truth is that it is available in every state of the United States, every province of Canada and should be available in most or all countries of Europe. The downside is that you have to find a compounding pharmacy that offers topical finasteride and if your local compounding pharmacy doesn't offer it, they can still make it, but it will cost more since they don't sell it in bulk. But the truth is that you do not have to have a prescription from any particular doctor to get topical finasteride at your favourite pharmacy and you don't have to use a specific pharmacy that a doctor may direct you to. It is wide open. These are just some of the myths surrounding topical finasteride but there are many more.